Notes: The Halesowen Railway (HR) opened on 10 September 1883 and, under an agreement made on 30 July 1872, it was maintained and operated by the Midland Railway (MR) and the Great Western Railway (GWR). On 29 July 1906 the Midland Railway Act was passed and the now-bankrupt HR was vested jointly in the MR and GWR. 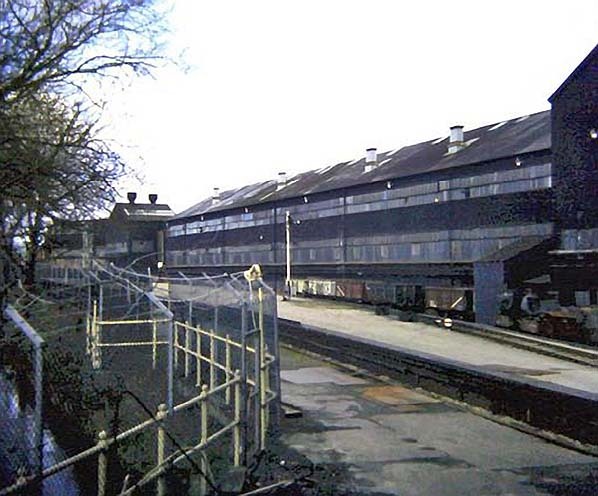 In 1903 the Austin Motor Car Company opened a plant adjacent to the southern end of the Halesowen branch. The company rapidly expanded from employing 1,300 people to over 22,000 by 1918. The First World War played a large part in the rapid expansion as the factory concentrated on producing armaments for the war effort. 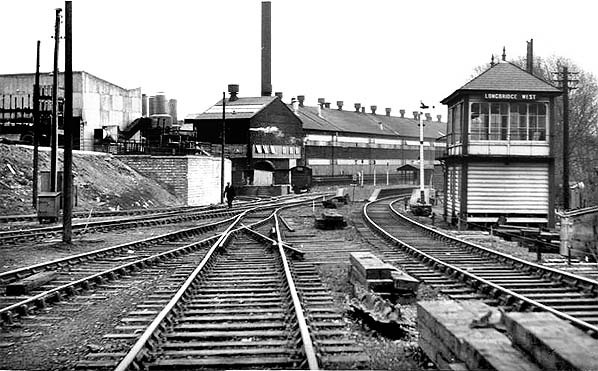 By 1915 sidings had been laid to connect the factory to the branch and thence to the Bristol to Gloucester main line. Transport links to and from the factory were limited as the original Longbridge station on the main line had closed as far back as 1849. The MR took the initiative and constructed a station a short way up the branch and north of the A38. Sadly, even with extensive research, the design of the buildings remains a mystery. It is known that the station was provided with an island platform and an additional platform on the down side; canopies extended the full length of the platforms. A footbridge from the down platform to the island platform was provided and, latterly, a footbridge from the island platform directly into the works. Access to the station was from the A38 via a ramp onto the down platform. During the late 1940s the A38 was widened and this work necessitated the construction of a new road bridge to the south of the platforms. Along with this work the original station buildings were demolished and replaced with a new two-storey brick building which was carried on a concrete raft, supported by stilts and spanning the up and down lines. Its design had a modest dignity, perhaps unexpectedly for an untimetabled station serving a factory. The austere ‘neo-Georgian’ style is reminiscent of schools and public buildings of the 1920s-‘30s; perhaps its designer was familiar with Welwyn Garden City’s centre and station. The steep hipped roof was surrounded by a low parapet, and the tall rectangular windows had 12 lights. The island platform was provided with two ridged canopies, without adornment, backed by screens to prevent access to them from trains calling at the down platform, which had its own slanting canopy. The single-faced down platform was reached by a ramp directly adjacent to the building. A corrugated iron hut where tickets were collected was positioned at the foot of the ramp. Prior to the First World War passenger services were operated by the MR but had been reduced from the usual five trains in each direction as a wartime economy. 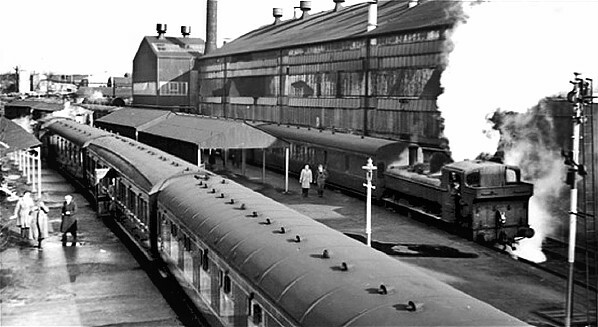 Following cessation of hostilities the five-train schedule resumed but, owing to the reduction of the Austin Company workforce with the switch back to the manufacture of cars, passenger numbers decreased, and in April 1919 the MR withdrew the passenger service from Halesowen to Northfield. It was the GWR who recognised that there was still a limited demand by workers travelling to and from the Austin plant, and they introduced two daily morning trains from Old Hill to Longbridge, with two return workings in the evening; these services ran Monday-to-Friday. The MR provided workmen’s trains from Birmingham New Street to Longbridge which also ran Monday-to-Friday. With the outbreak of the Second World War the Austin plant resumed production of armaments and employee numbers once again grew. 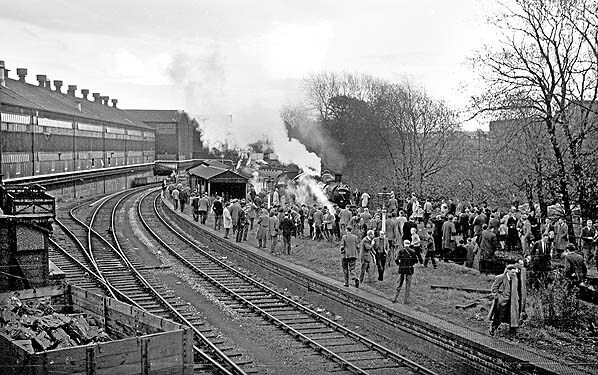 Both the LMS and the GWR continued to run their respective workmen’s trains to the station, but now seven days a week. Following the end of the war the service again settled down to two trains in each direction from Old Hill and Birmingham New Street run by the GWR and LMS respectively. These services were untimetabled although they ran on a regular basis and it was not unknown for members of the general public to travel on them. workers’ needs’. 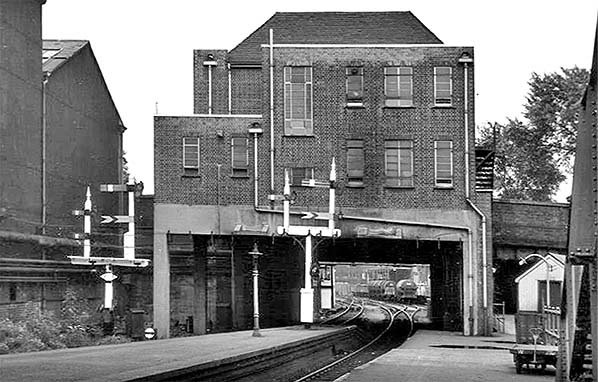 The station officially closed on 4 January 1960. From the mid 1950s it was increasingly apparent that the line was in decline and this attracted the attention of enthusiasts’ railtours, with several travelling over the line. Several of the tours would call at the station although it was officially closed, and there are photographs showing people swarming all over the platforms and track. Following the closure of the branch as a through route, the station area became part of the internal railway of British Leyland and then the Rover Group. The Midland Railway signal box was maintained by BR, latterly Railtrack and Network Rail, and this seemed to allow the station building to escape demolition although the platforms had been removed. 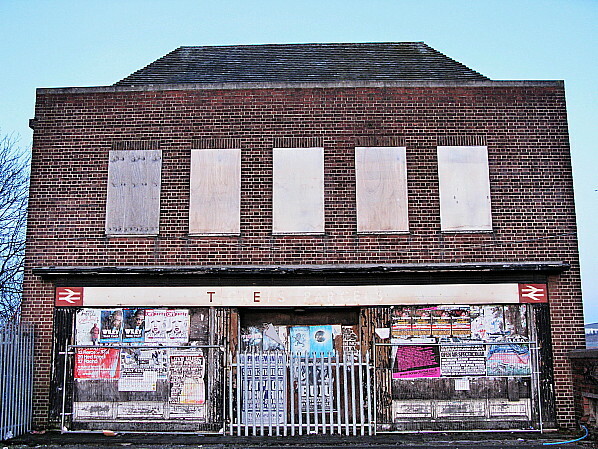 The ticket/parcels office stood on the A38 until, following the demise of the Rover Group, it was finally demolished in around 2010 as the whole works area was redeveloped. Today just the concrete stilts and the raft that the building stood on remain, along with a short section of the single-faced down platform. The trackbed to the main line is now occupied by a linear park and as the redevelopment crosses to the opposite side of the A38 the station site will soon be swallowed up by it. 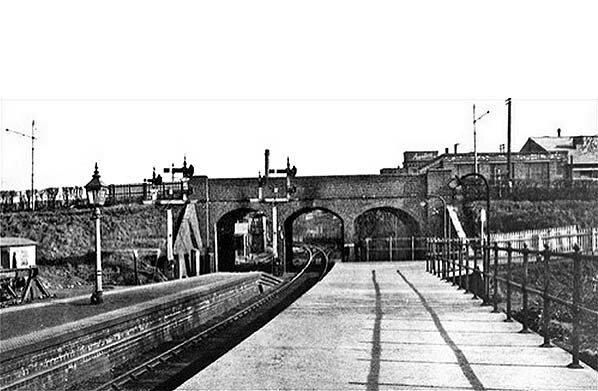 Looking south from the station platform during 1920 at what was the original bridge which carried the A38 Bristol Road over the line. Presumably the station buildings were located to the right. The 1936 1:2500 scale map shows how the Longbridge Motor Works has built up around the station the original plant was situated on the opposite side of the Bristol Road below the existing rail lines. the station now being officially closed. A charming scene from the 1950's with the station busy after the arrival of two workmens trains the train in the foreground is the LMS train from Birmingham New Street composed of an LMS 9 compartment Third Class carriage, designed by William Stanier, followed by a non-corridor compartment coach from the 1920 to 1939 period with a more modern LMS built coach, the fore runner of the BR Mk1. The GWR train is on the opposite platform headed by an 0-6-0 Pannier Tank with some pre-grouping GWR stock wth all the coaches carrying the British Railway's livery. Looking south from the same vantage point as the 1920 picture but this time in 1954. The late 1940's station building can be seen spanning the two lines which pass under the reconstructed A38 overbridge. Looking towards Rubery during June 1954 and the close proximity of the motor works is apparent. The platform that the children are standing on was essentially an access walkway to the part of the works on the opposite side of the Bristol Road although passengers did alight on this side. Looking now from the far north end of the station during March 1962 the Longbridge West box is a MR type 4a design fitted with a 16 lever frame. 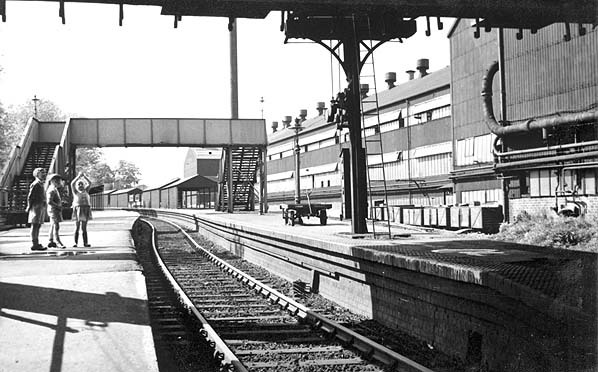 The box opened on 15 April 1914 and closed on 10 August 1922 it reopened on 21 July 1923 and was finally abolished on 29 October 1961.The platform ramp can be seen along with several sidings and access lines directly into the works. The Last Train on the Harbourne Brach and Farewell to the Halesowen Branch SLS railtour makes a stop at Longbridge on 2 November 1963. Many of the passengers are taking the opportunity to explore the station and photograph the train. LMS Ivatt 2MT class 2-6-0 is at the head of the train for its initial working up the branch. Also of interest is the four plank goods wagon in the foreground with a BR mineral wagon standing a little further on. 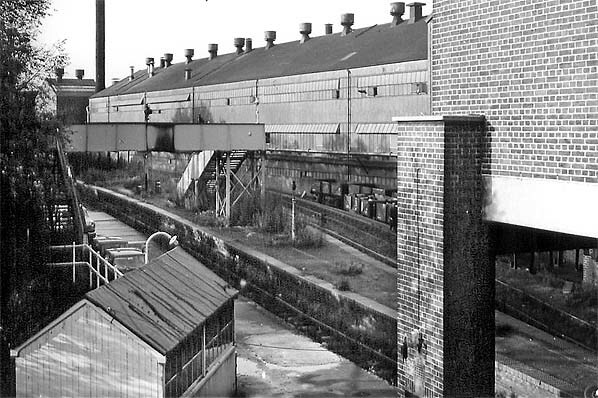 The station site viewed from the Bristol Road in October 1966 the platforms are still very much intact although nature is taking over the platforms. Several mineral wagons are stabled in the works sidings. By the time this 1977 shot was taken the platforms appear to have been cleared of weeds and resurfaced. The footbridge and the curious sheds on the island platform have also been removed although the ubiquitous mineral wagons still grace the works sidings. The 1940's ticket office was a feature of the Bristol Road and stood here for over 50 years after closure. Seen here on 28 December 2009 sporting BR Corporate double arrow logos and just two letters from the original 'TICKETS PARCELS' sign. 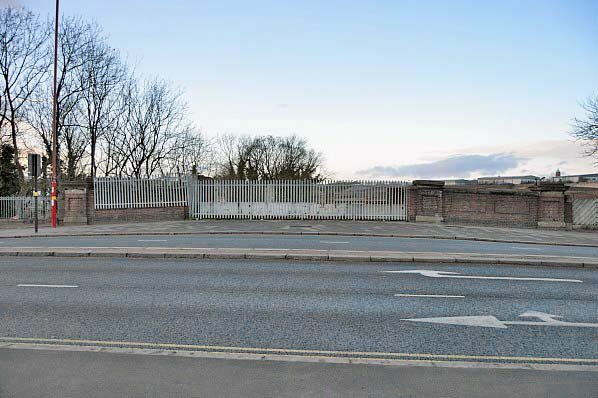 The site of the booking office seen across the Birstol Road on 17 January 2015 with the demolition of the station building a familiar local landmark has been lost. 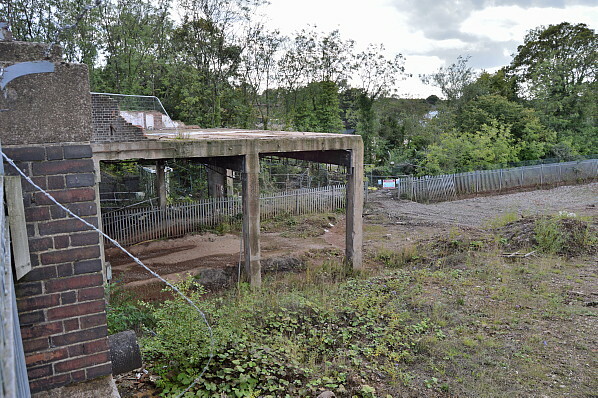 The concrete raft and stilts that the building stood on are evident in this 28 August picture as is a short section of the trackbed to the right.